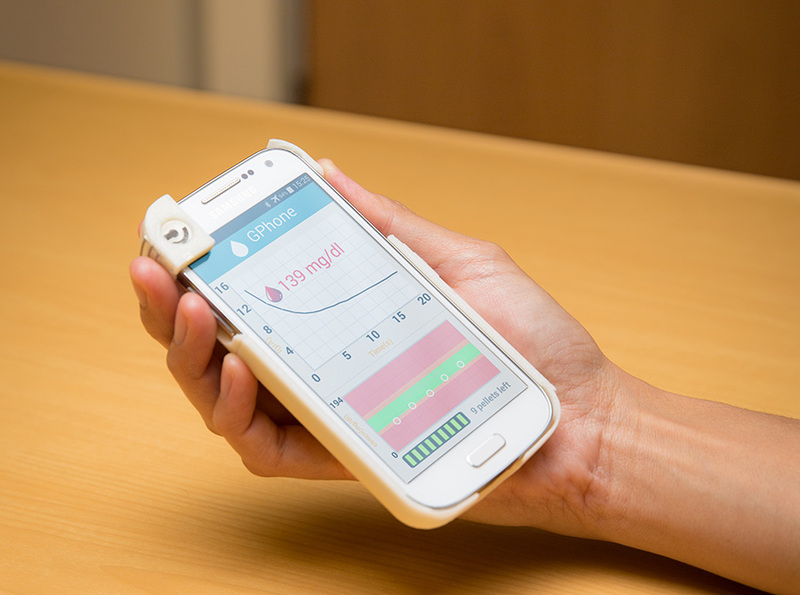 Engineers at the University of California San Diego have developed a smartphone case and app that will make it easier for patients to record and track their blood glucose readings, whether they’re at home or on the go. Currently, checking blood sugar levels can be a hassle for people with diabetes, especially when they have to pack their glucose monitoring kits around with them every time they leave the house. 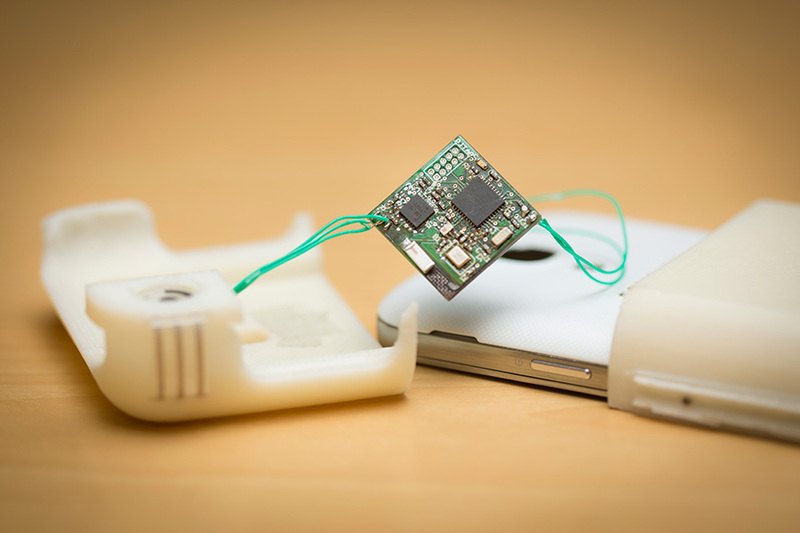 The device, called GlucPhone, is a new proof-of-concept portable glucose sensing system developed by Mercier, nanoengineering professor Joseph Wang, and their colleagues at the UC San Diego Jacobs School of Engineering. Wang and Mercier are the director and co-director, respectively, of the Center for Wearable Sensors at UC San Diego. Their team published the work in Biosensors and Bioelectronics. GlucPhone has two main parts. One is a slim, 3D printed case that fits over a smartphone and has a permanent, reusable sensor on one corner. The second part consists of small, one-time use, enzyme-packed pellets that magnetically attach to the sensor. The pellets are housed inside a 3D printed stylus attached to the side of the smartphone case. To run a test, the user would first take the stylus and dispense a pellet onto the sensor—this step activates the sensor. The user would then drop a blood sample on top. The sensor measures the blood glucose concentration, then wirelessly transmits the data via Bluetooth to a custom-designed Android app that displays the numbers on the smartphone screen. The test takes about 20 seconds. Afterwards, the used pellet is discarded, deactivating the sensor until the next test. The stylus holds enough pellets for 30 tests before it needs to be refilled. A printed circuit board enables the whole system to run off a smartphone battery. The pellets contain an enzyme called glucose oxidase that reacts with glucose. This reaction generates an electrical signal that can be measured by the sensor’s electrodes. The greater the signal, the higher the glucose concentration. The team tested the system on different solutions of known glucose concentrations. The results were accurate throughout multiple tests. A key innovation in this design is the reusable sensor. In previous glucose sensors developed by the team, the enzymes were permanently built in on top of the electrodes. The problem was that the enzymes wore out after several uses. The sensor would no longer work and had to be completely replaced. Keeping the enzymes in separate pellets resolved this issue. “This system is versatile and can be easily modified to detect other substances for use in healthcare, environmental and defense applications,” Wang said. The system stores a considerable amount of data so that users can track their readings over long time periods. However, there is a trade-off in price. 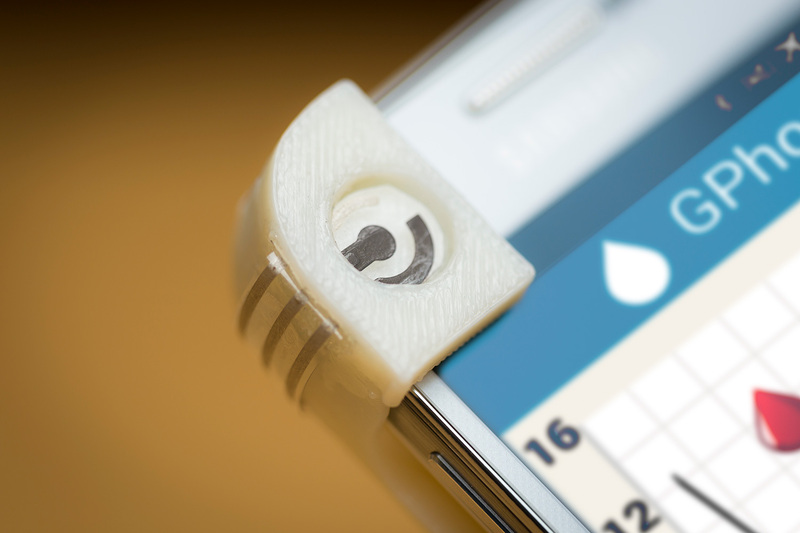 While the reusable glucose sensor and 3D printed parts are inexpensive, refill pellets may be slightly more costly than test strips in today’s glucose monitoring kits. The team envisions one day integrating glucose sensing directly into a smartphone rather than a case. The work is currently at the proof-of-concept stage. Some next steps include testing on actual blood samples and minimizing sample volumes. The current prototype uses at least a dozen drops of sample per test, so researchers aim to cut that down to an amount that’s normally extracted from a finger prick. They also plan to include a function in the app that sends phone alerts reminding users to check their blood sugar. This work was supported in part by the National Institute of Biomedical Imaging and Bioengineering of the National Institutes of Health (award no. R21EB019698). Paper title: “Re-usable electrochemical glucose sensors integrated into a smartphone platform.” Authors of the study are Amay J. Bandodkar*, Somayeh Imani*, Rogelio Nuñez-Flores*, Rajan Kumar, Chiyi Wang, A.M. Vinu Mohan, Joseph Wang and Patrick P. Mercier.